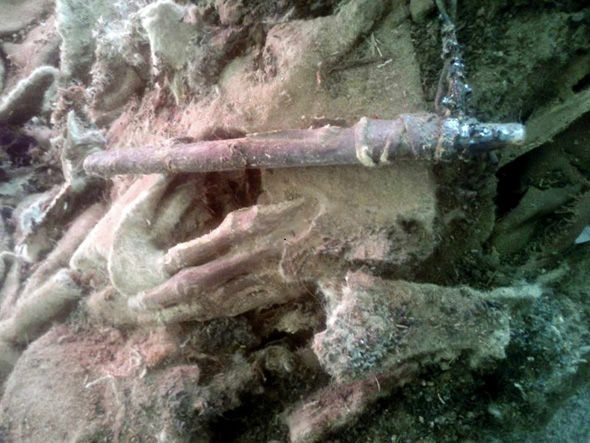 Archaeologists discovered partial remains of a female who is believed to have died some 1,500-years ago, nearly 10,000 feet high in the Altai Mountains. So far, experts have found only one hand and the woman’s feet. But it is what is on them that has created shock. The traditional footwear of the time looks more like it was designed by German sportswear brand Adidas complete with the iconic stripes, which has got chins wagging on the internet.One person wrote on Live Leak: “Didn’t know they had Adidas back then…” While another questioned: “The mummy had on some Adidas in the first pic?”However, experts have said that it is one of the most unique insights into Mongolian life at the time. 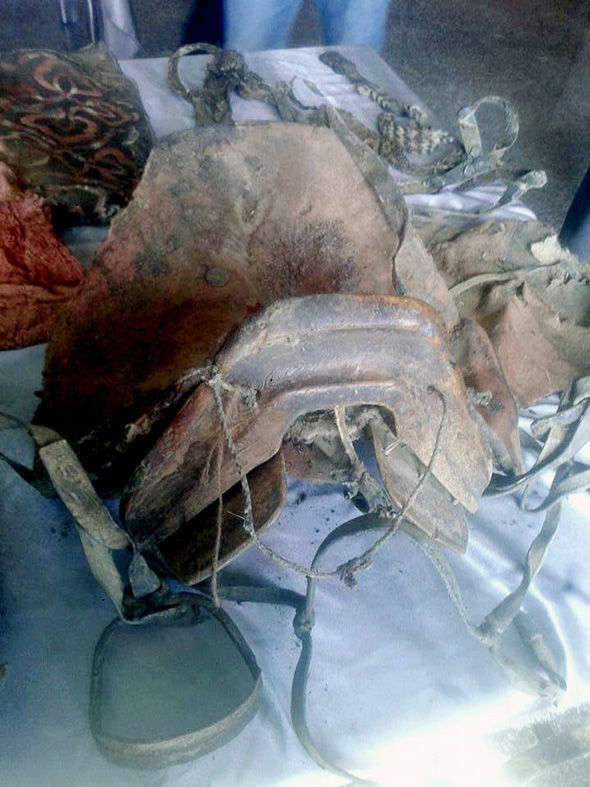 It is the first Turkik burial to be discovered in Central Asia, and the authorities have already answered a lot of questions. B. Sukhbaatar, researcher at Khovd Museum, told the Siberian Times: “This person was not from elite, and we believe it was likely a woman, because there is no bow in the tomb. Also found with her remains were a saddle, bridle, clay vase, wooden bowl, trough, iron kettle, and an entire horse. Sukhbaatar continued: “It is the first complete Turkik burial at least in Mongolia – and probably in all Central Asia. This is a very rare phenomenon. “These finds show us the beliefs and rituals of Turkiks. The height and “the cool temperatures helped to preserve the grave”. He added: “The grave was three meters deep. “The finds show us that these people were very skilled craftsmen.